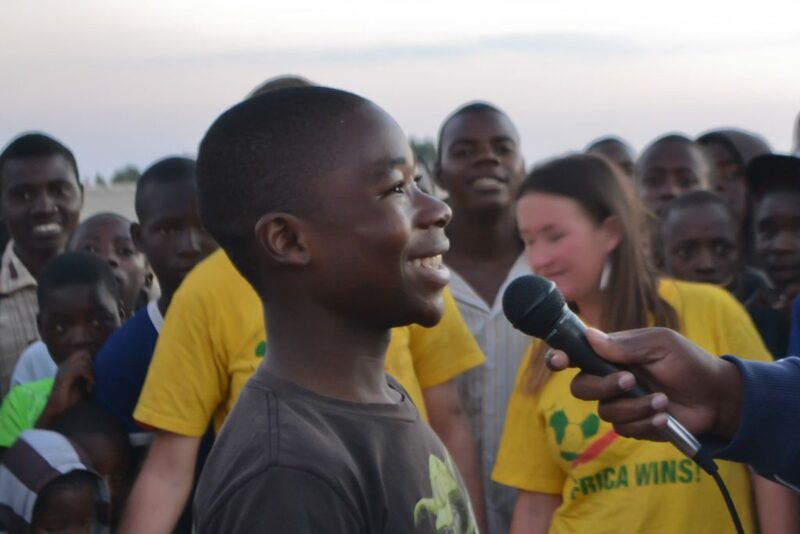 The Epworth Africa Goal event which was organised and lead by SAfAIDS, in partnership with Young Africa, and Population Services Zimbabwe, was the culmination of a full day of activities including football, netball and volleyball matches, HIV information and quizzes and on-site Voluntary Counselling and Testing. 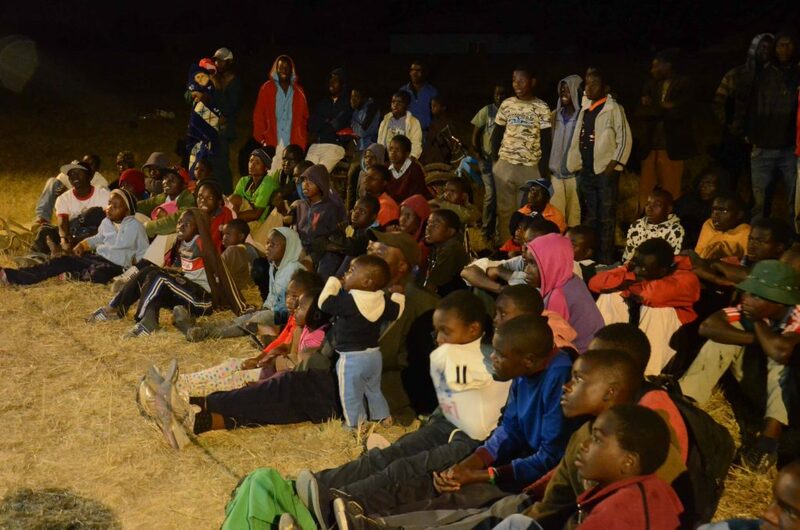 Around 1,000 people attended the event during the course of the day, 76 were counselled and tested for HIV, and 22 signed up for Voluntary Medical Male Circumcision. 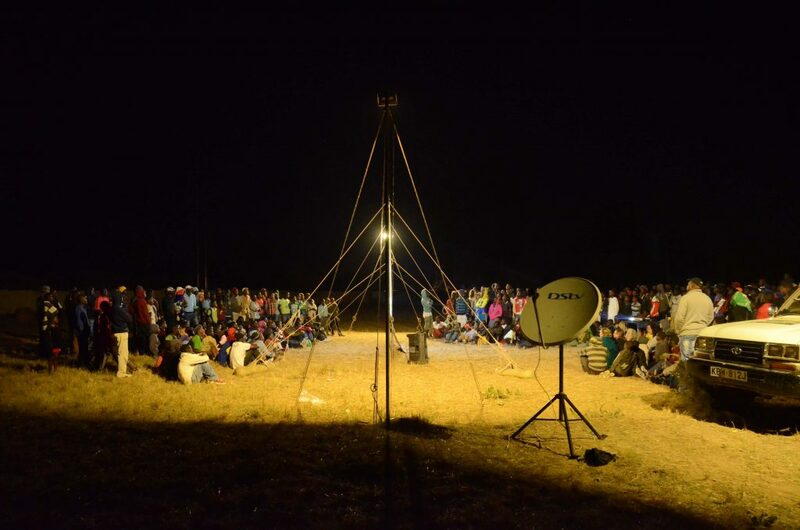 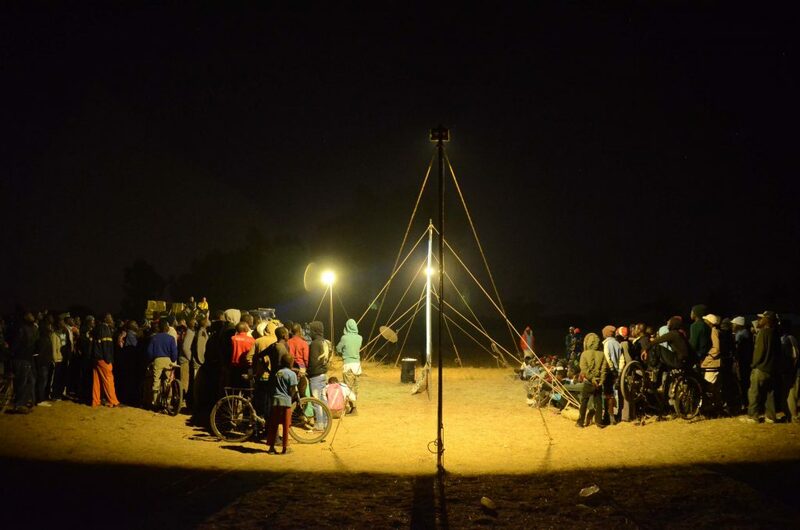 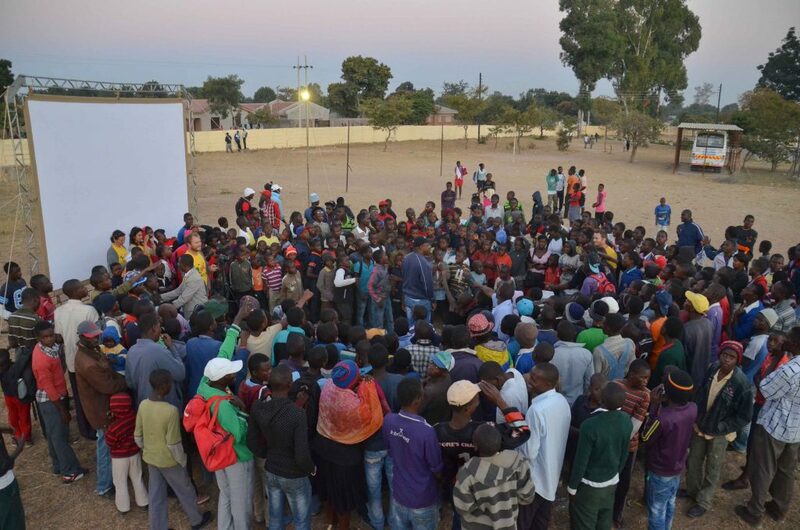 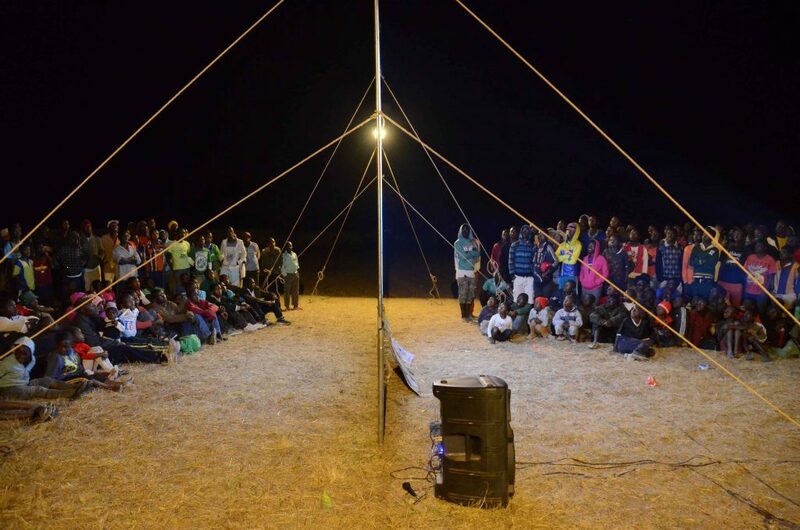 After a long day of driving from Chirundu on the border with Zambia, the Africa Goal team arrived in time for the end of the sports activities in time to set up, sparking great interest from the crowd. 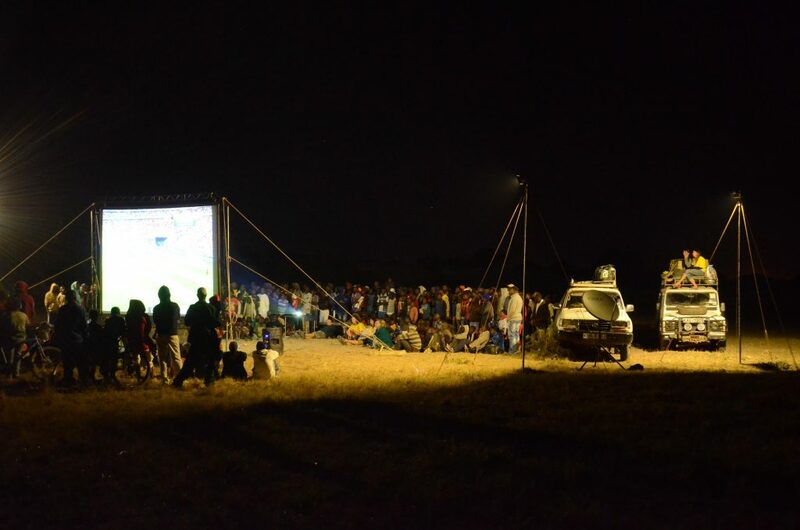 Faced with the option to project the match on to the side of one of the school buildings or set up the screen, the team opted to use the screen double-sided in the centre of the sports field to ensure as many people as possible could watch the match comfortably. 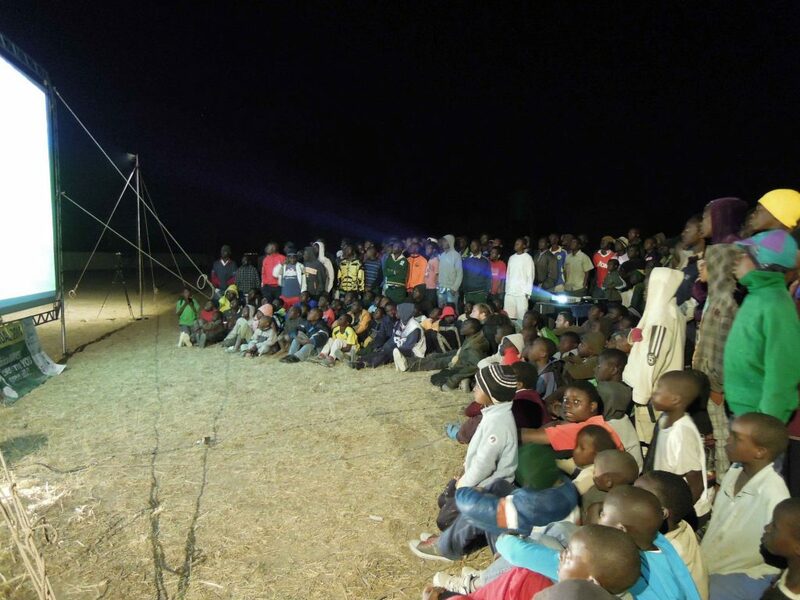 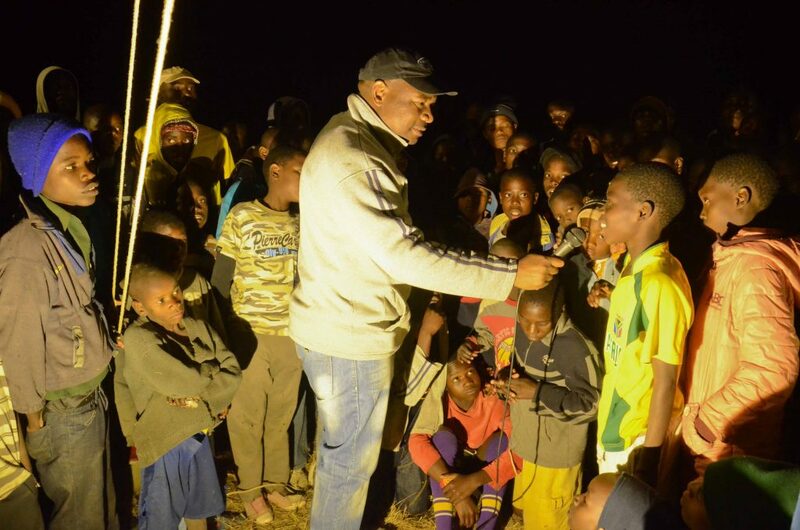 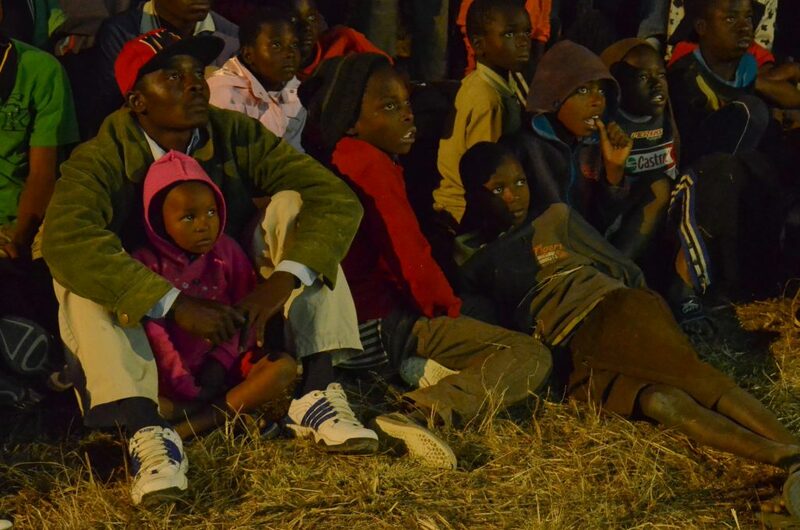 In this poor suburb of Harare without electricity, there was almost no other possibility to watch the game, so we knew it would be popular. 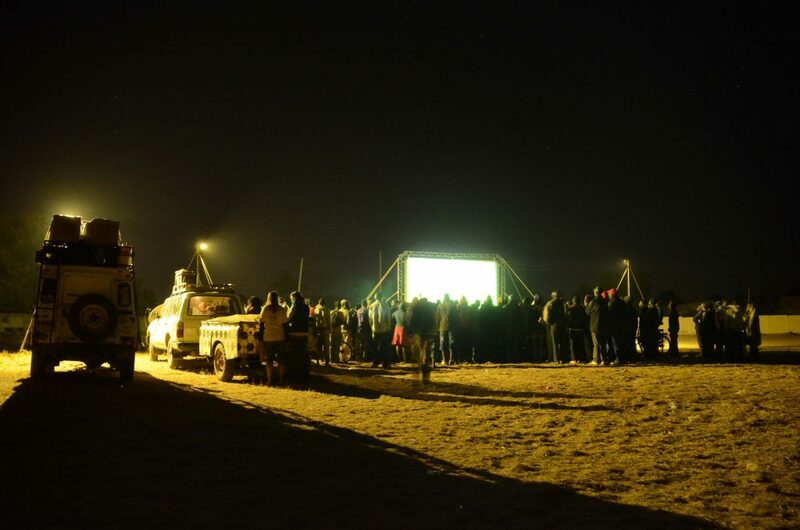 Indeed, despite the cold, and fact many were sporting only shorts and t-shirts as they were playing sports, around 500 people of all ages remained and gathered to watch the Belgium – Argentina match. 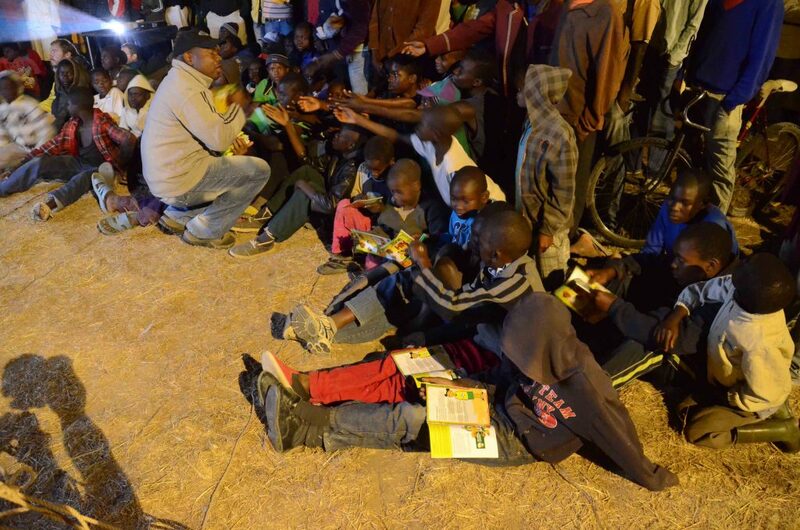 The diversity of ages was a welcome sight, with 240 adult kits of targeted information and education communication (IEC) materials and 200 children’s IEC kits distributed and excitedly received, unpacked and read by audience members. 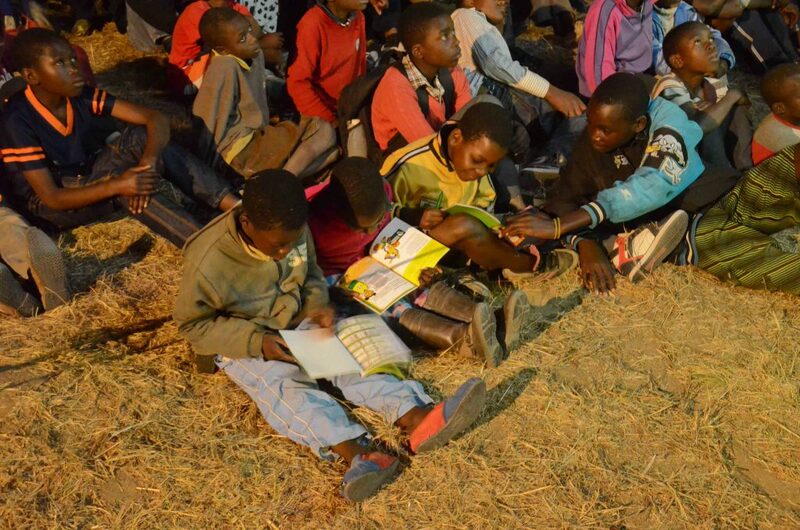 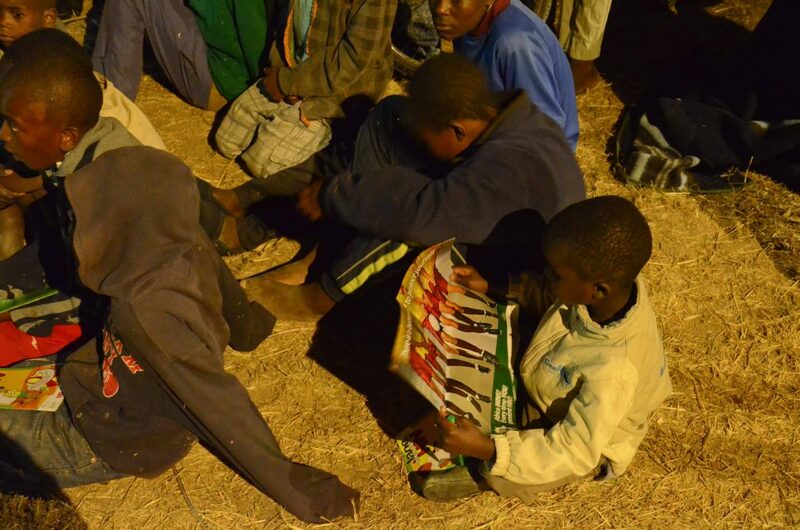 A further 60 adult and 100 children’s IEC kits were taken by SAfAIDS for use over the coming days. 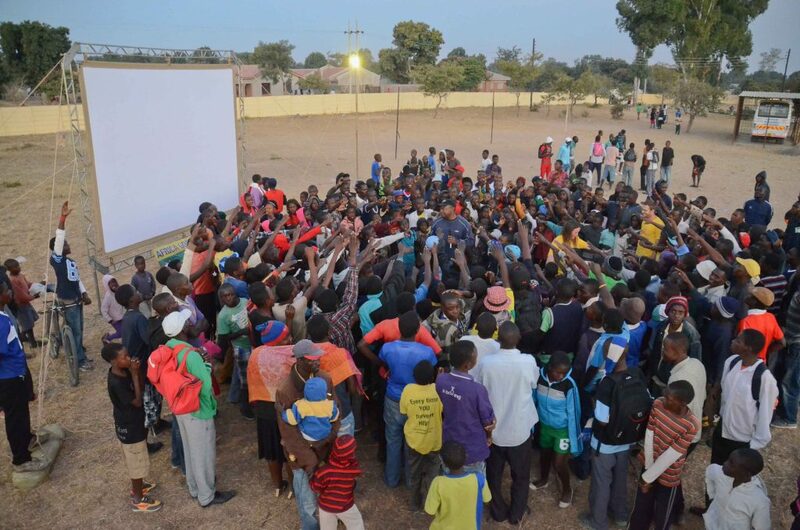 An additional HIV information quiz with Africa Goal t-shirts and OneWorldFutbol balls as prizes got the audience fired up before the match – a tense one – with Higuaín’s early goal for Argentina in the 8th minute shattering Belgium’s hopes for reaching the semi-finals. 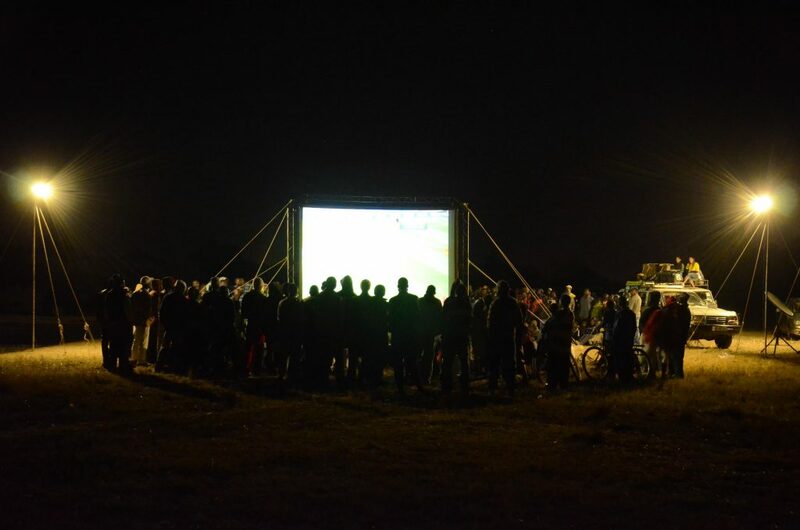 While the Belgian team produced only a few real chances at drawing level – often being caught offside – the numerous attempts of Argentina and their star Messi to further Argentina’s lead were thwarted by Courtois’ expert goal-keeping. 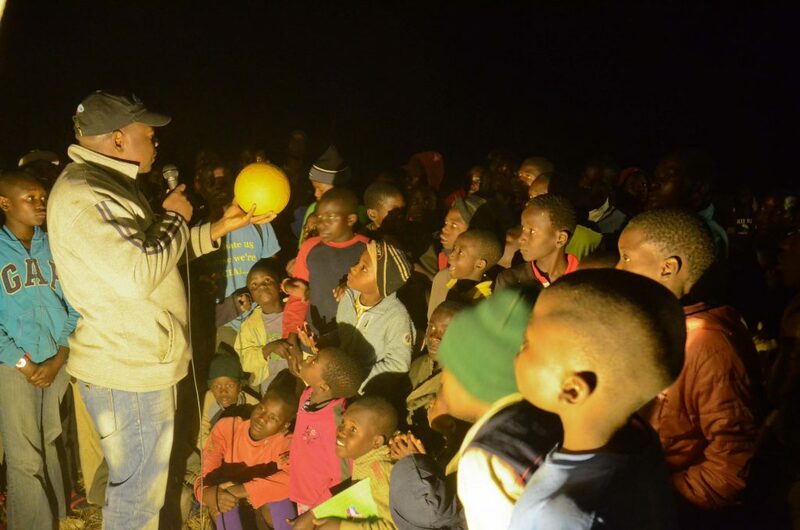 In the end, all efforts only yielded a score of 1-0.